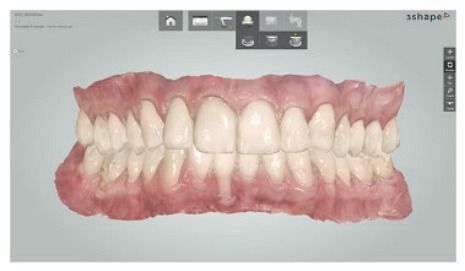 digital impressions are faster and easier than conventional dental impressions. 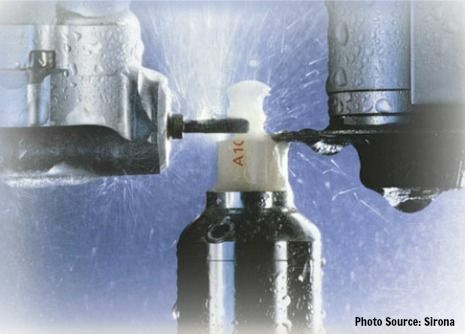 tooth shade every time for a lab fabricated dental crown or dental bridge. The Trios dental scanner enables us to send your lab case securely via the cloud. Within minutes, your case will be reviewed and fabricated by a certified dental lab technician. Digital technology in dentistry is highly accurate, increased comfort, and reduces your time in the dental chair. What does a digital impression/scan look like? 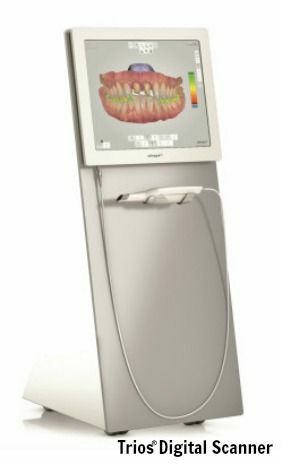 Trios® is an intraoral (in the mouth) dental scanner that takes super high speed images of your mouth using a wand. The collection of images taken are rendered and referred to as a digital impression or intraoral scan. These images are then sent securely via the cloud to a specialty dental lab. Here, a lab technician will import your images into a CAD (computer aided design) software program used to design and manufacture your permanent dental restoration, dental crown or bridge. 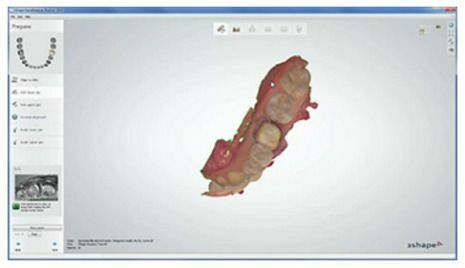 How is a digital scan difference from a conventional impression? Conventional impressions require your dentist to fill a tray with a pudding like consistency material (shown left). Your dentist will insert the filled tray into your mouth and ask you to bite and hold your teeth together till the material hardens, typically 3-5 minutes. or teeth. Time to scan takes only a few seconds for each image (shown left). All images combined take less time than conventional impressions. Two dental appointments are necessary to prepare, fabricate, and permanently cement a dental crown or dental bridge. and select a custom shade. a temporary dental crown or bridge over your prepared tooth/teeth until your permanent restoration is fitted and permanently cemented. Your digital impressions and work order will be received and reviewed by a lab technician. 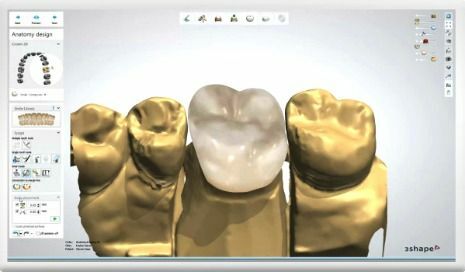 The technician will import your digital images and impression into a CAD (computer aided design) software to design and mill your dental crown or bridge according to your dentist’s instructions. 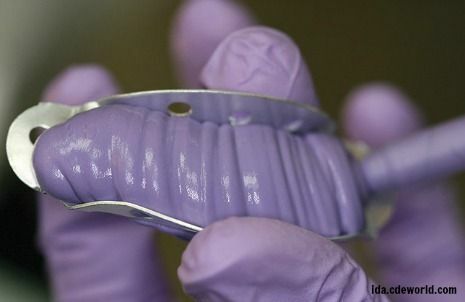 Once fabrication of your ceramic restoration is complete, a courier from the dental lab will deliver your case to us. 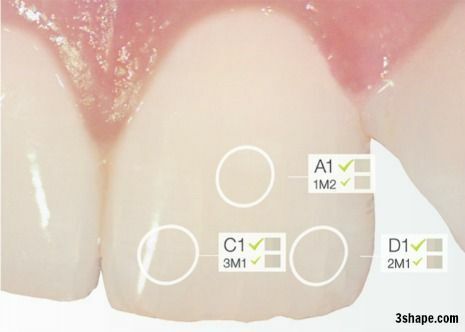 Your newly fabricated dental crown or bridge is permanently cemented after the dentist evaluates the fit and checks your bite. 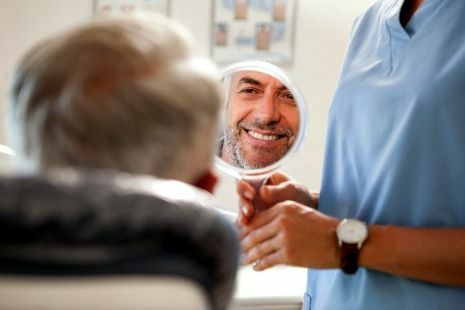 Approximately 1-2 weeks later, your dental assistant will remove your temporary, dry fit your restoration, and take a digital x-ray for the dentist. of your dental crown or bridge. Once any minor adjustments are made, your dentist will permanently cement your restoration into place. 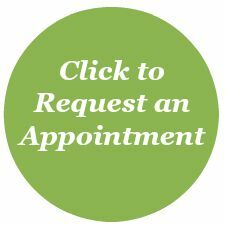 Call (763) 586-9988 to schedule an appointment or click the button below to request an appointment.